We are pleased to announce that Agnico Eagle’s Meadowbank mine has been recognized as one of Canada’s Safest Employers. 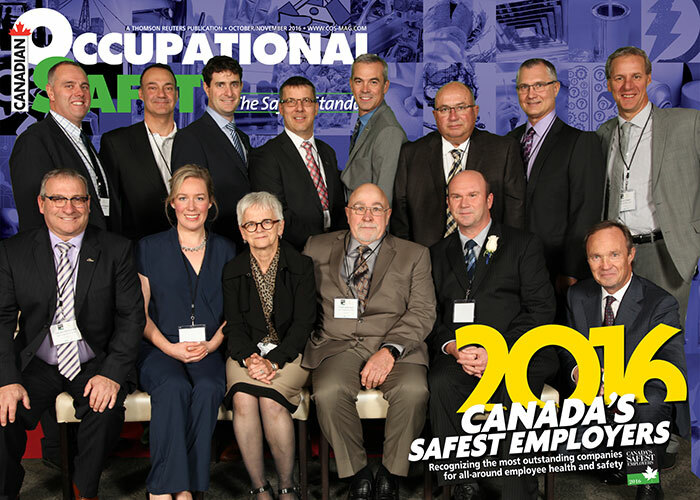 The recognition came during the sixth annual Canadian Occupational Safety Awards, held in Toronto on October 24th. Meadowbank received the silver award in the Mining and Natural Resources category. Over the last six years, Meadowbank has implemented several initiatives aimed at continuously improving its health and safety programs. These include: Agnico Eagle’s Responsible Mining Management System (an in-house health, safety, environment and social acceptability management system); Toward Sustainable Mining (a Mining Association of Canada’s program that drives performance and ensures that key mining risks are managed responsibly); along with a dedicated daily risk assessment tool (safety work card); certification under the International Cyanide Management Code; and of course the continuous leadership shown by all employees with the support of Meadowbank’s Health and Safety Team. 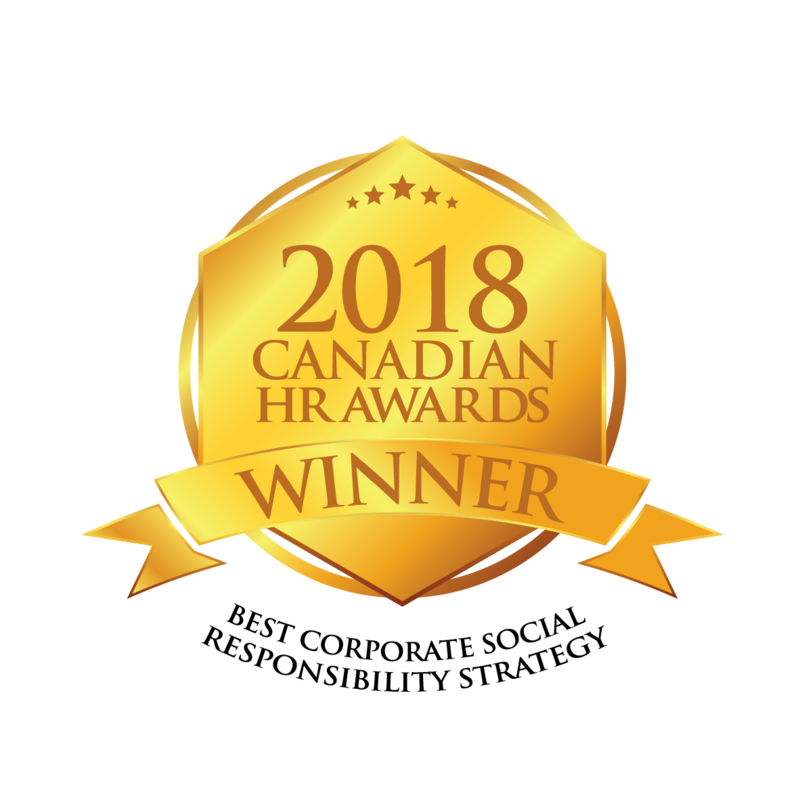 Launched in 2011, Canada's Safest Employers Awards recognize companies from all across Canada with outstanding accomplishments in promoting the health and safety of their workers. The award is presented in 10 industry-specific categories, ranging from hospitality to mining and natural resources. Companies are judged on a wide range of occupational health and safety elements, including employee training, Occupational Health and Safety management systems, incident investigation, emergency preparedness and the implementation of innovative health and safety initiatives. Front row (left to right): Gérald MacDonald (Corporate Safety Supervisor), Alexis Loiselle (Pastry Chef and Meadowbank Health and Safety Committee Member), Louise Grondin (Senior Vice-President, Environment, Sustainable Development and People), Yves Levesque (Assistant Superintendent, Health and Safety at Meadowbank), Norman Ladouceur (Superintendent, Health and Safety for Nunavut), Sean Boyd (Chief Executive Officer). Back row (left to right): Guillaume Lachapelle (Corporate Director, Health, Safety and Security), Ammar Al-Joundi (President), Dominique Girard (Vice-President, Technical Services and Nunavut Operations), Bertin Paradis (General Manager, Meadowbank Operations), Jason Allaire (Manager, Nunavut Service Group, Strategic Optimization), Yvon Sylvestre (Senior Vice-President, Operations, Canada and Europe), Gilles Ladouceur (Grinding Operator and Meadowbank Health and Safety Committee Member), Patrice Gilbert (Vice-President, Health, Safety, Community, Environment and Sustainable Development).